There have been few puzzle titles on the Wii U eShop and even fewer have been worthwhile experiences, but is GravBlocks+ a worthy puzzler? Continue reading our review to find out! 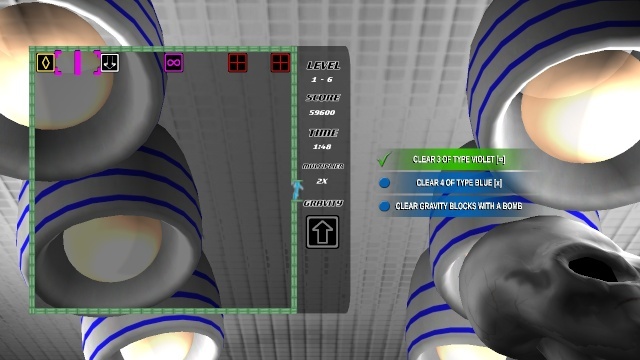 GravBlocks+ is a match-three puzzle title with a twist. The game features arrow blocks that when matched alter gravity based on the direction of the arrow on the gravity blocks! There are some hazards and items such as bombs a color sweepers that clear all blocks of a certain color which can be helpful items for sure! The game features several modes including Story Mode and a Challenge Mode which have different rules and game flow, but overall the game's modes are quite fun! The controls are fairly straightforward and are easy to learn and the Off-TV-Play works flawlessly which is a very good thing! The game features an alien theme with animated aliens in the backgrounds which is a nice touch. Graphically besides the reasonably impressive backgrounds the visuals are quite simplistic which isn't a bad thing, though the music and sfx leave much to be desired. All-in-all the audio-visual presentation is a mixed bag with some aspects being good and others being mediocre. 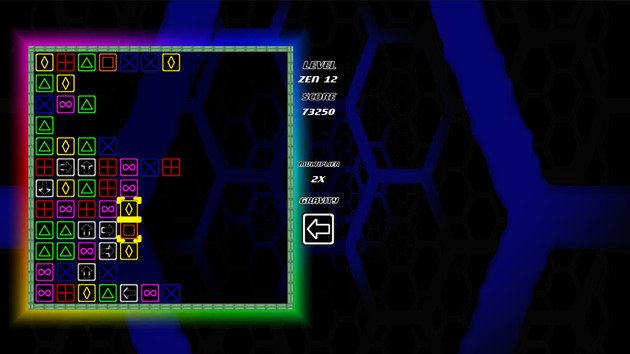 With solid gameplay, easy to learn controls, and decent yet simple visuals GravBlocks+ is a fairly enjoyable game that is better than most games of the puzzle genre that are currently available on the platform, though the lackluster audio does hold the game back a bit, but overall GravBlocks+ is a solid game that we recommend if you enjoy a good puzzler! This sounds like it's better than I was expecting, but I'm still not sure if I'll download the game. Good review btw! @FM_Alchemist wrote: This sounds like it's better than I was expecting, but I'm still not sure if I'll download the game. Good review btw! Agreed, I'm not a big puzzle genre buff, though I am interested in Astral Breakers.